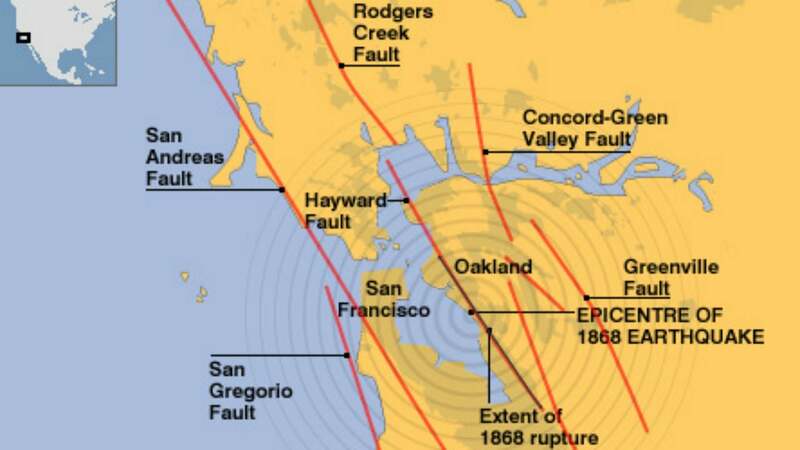 The Concord Fault is located in the San Francisco Bay Area, located under the city of Concord. It is connected to the Green Valley fault, which lies just a few miles to the north across the Suisun Bay. The fault is approximately 11 mile long distance is a strike-slip fault. According to USGS seismologists it is “the most urban fault” in the East Bay, with potential for a larger event than the 2014 South Napa earthquake. There have been earthquakes on this fault in October 1955 (M-5.4). A swarm of M 3-3.5 quakes hit in 2015.